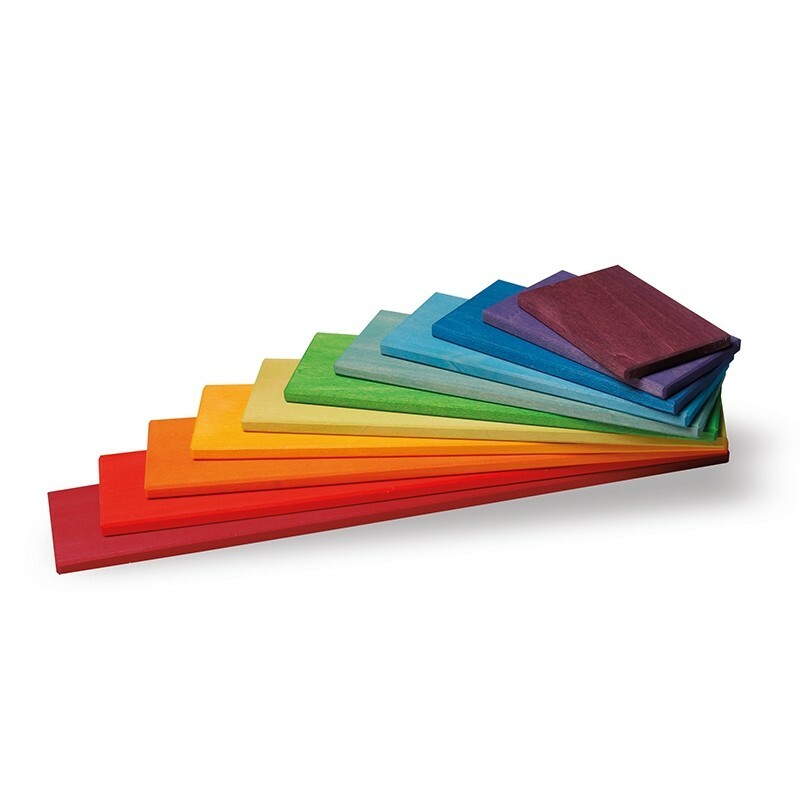 This set of 11 wooden boards stained in bright rainbow colours are the perfect fit for the 12-piece Grimm's rainbow and semi-circles - combine all three to make rooms for a dolls' house, stables and sheds on a toy farm, or wonderful worlds for peg people. 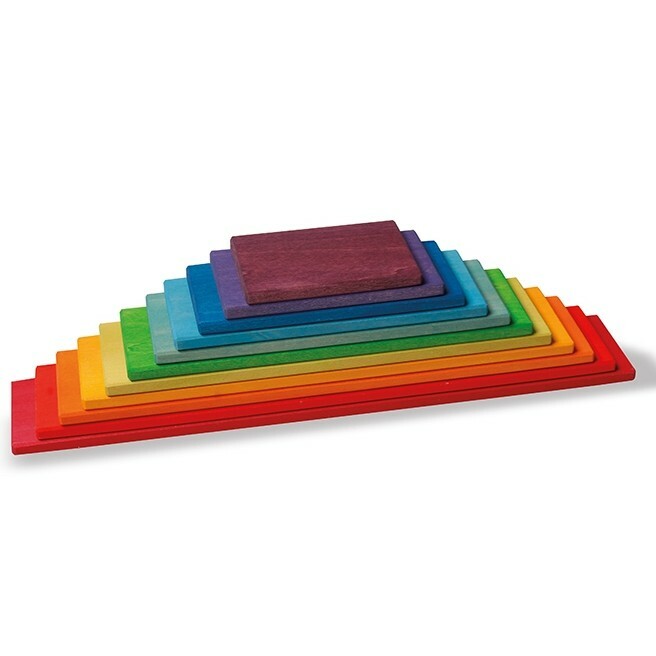 Or just use with the rainbow to learn about weight and balancing. Creative children will find a whole load of other ways to incorporate them into building games and making patterns, and they're also great as counting aids, for colour sorting and as ingredients in a play kitchen. 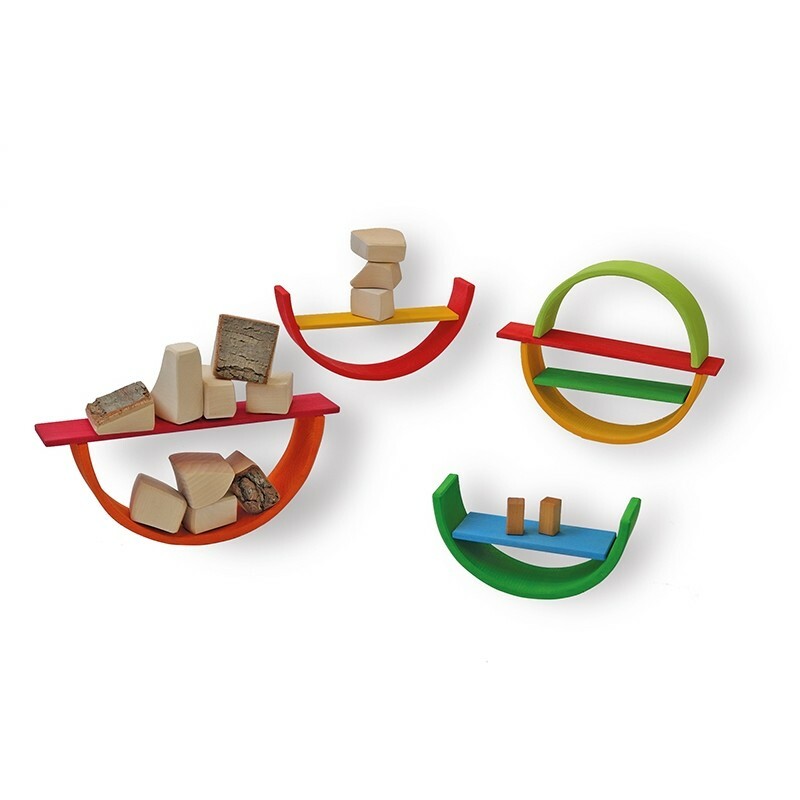 This simple open-ended toy can be used in a myriad of ways to inspire creativity and learning. 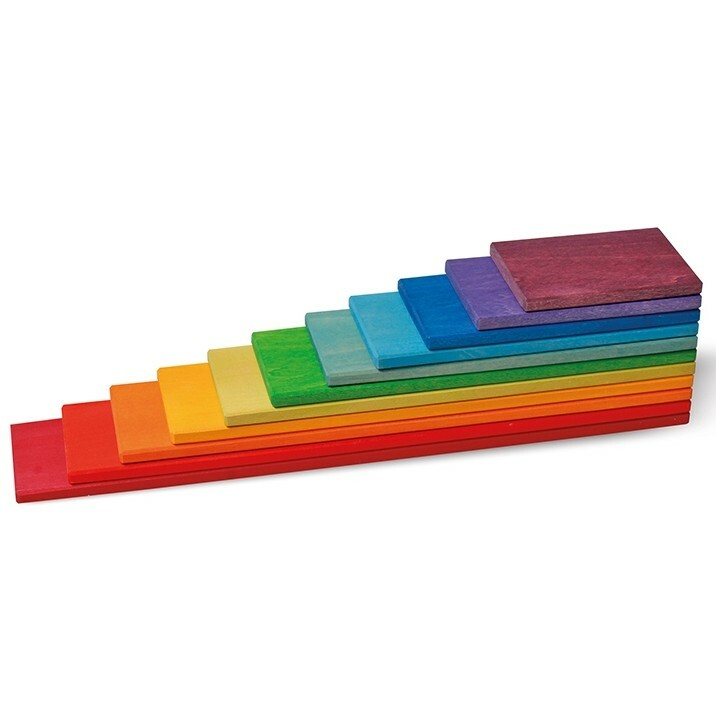 These building boards can be used on their own to build colourful buildings and can be combined with other block sets too for unlimited architectural possibilities. Children will love building with these beautiful slats which come in a range of rainbow colours. The blocks are made with lime wood and have been stained with water-based colour, allowing the natural grain of the wood to shine through. 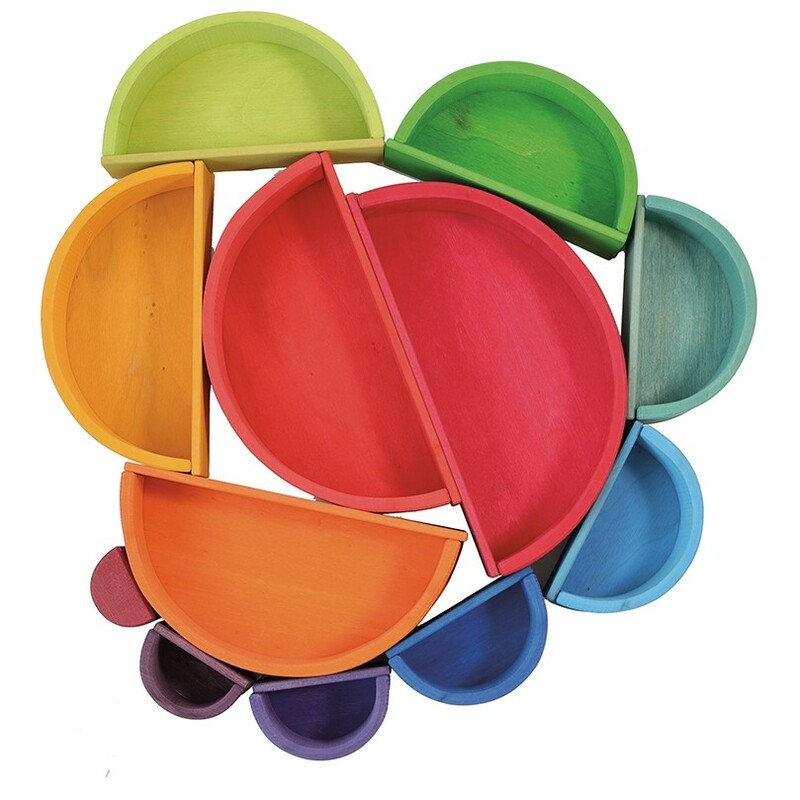 Steiner educators will love this multi-purpose educational toy. This toy is suitable from 12 months. Each board is 8mm thick, 7cm wide and between 10-37cm long. Sensory toy: hand-eye co-ordination, fine motor skills, balance. 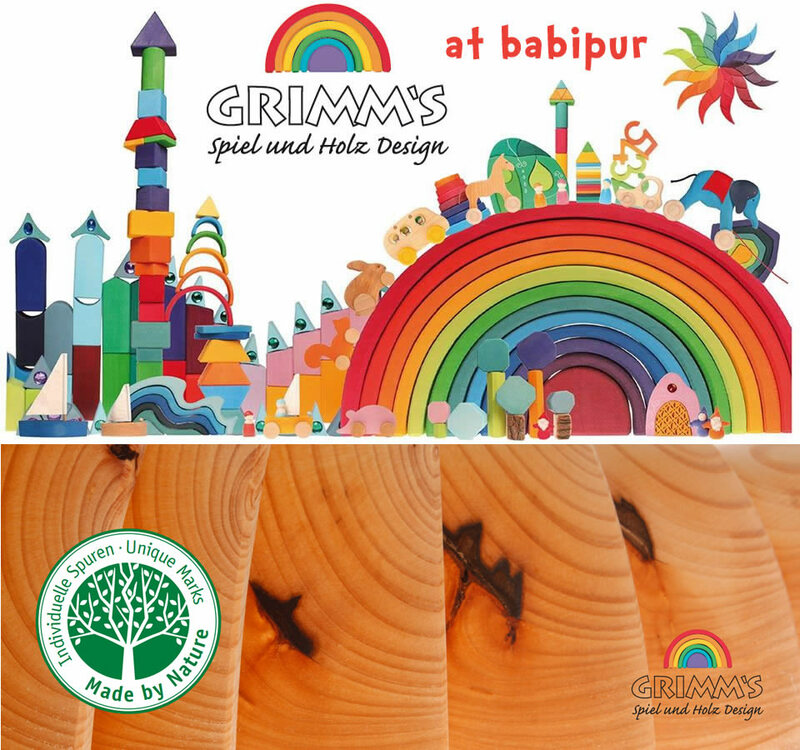 Grimm’s Toys are inspired by the Waldorf Steiner education movement which advocates learning through thoughtful, creative play at an unhurried pace. 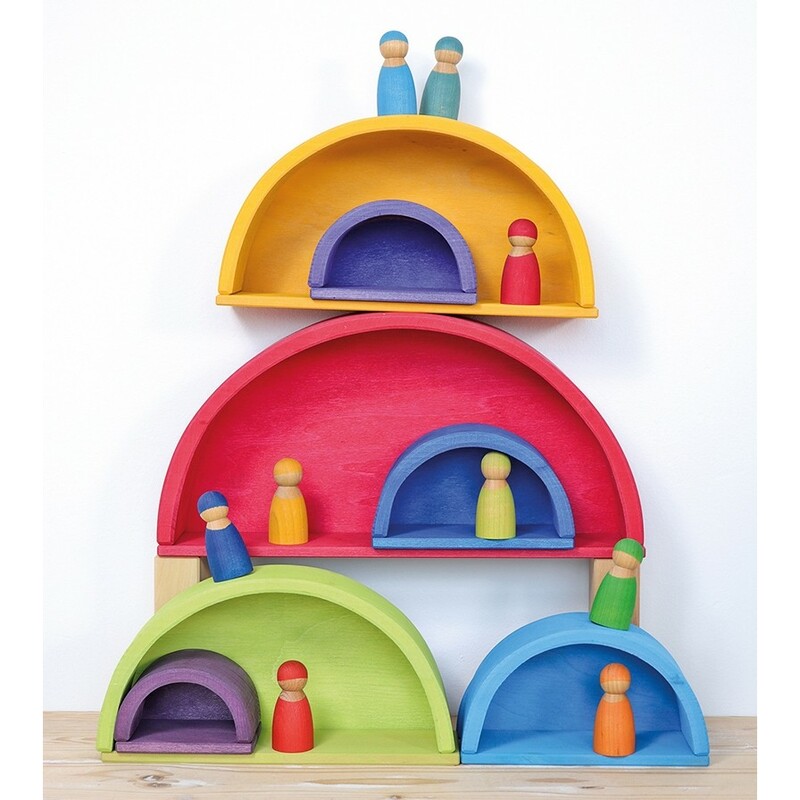 Toys play an important part of the learning experience and Waldorf toys are made with natural materials, beautiful and simplistic – the lack of details allow children to fill in the blanks with their imaginations. 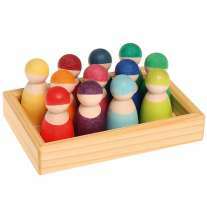 They can be used in multiple ways in creative play scenarios, rather than being prescriptive. 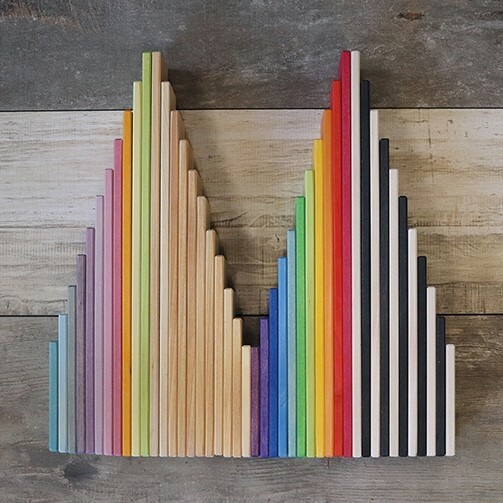 Waldorf-inspired toys are wonderfully tactile and call on children to play with them.